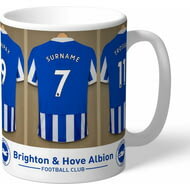 One of our best-selling Brighton & Hove Albion FC gifts of all time, this personalised dressing room mug is the ultimate must-have for any Brighton & Hove Albion FC fan. 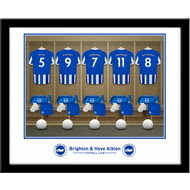 One of our best-selling Brighton & Hove Albion FC gifts of all time, this personalised dressing room print is the ultimate must-have for any Brighton & Hove Albion FC fan. This is a fabulous present for any Brighton & Hove Albion FC fan and is approved and fully licensed by Brighton & Hove Albion FC. 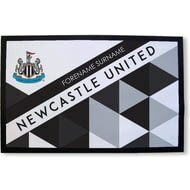 This official, fully licensed Newcastle United FC Personalised Patterned Door Mat is the perfect gift for any dedicated fan. 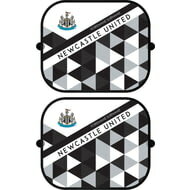 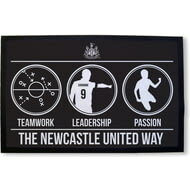 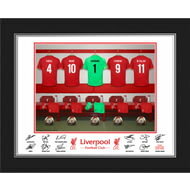 This official, fully licensed Newcastle United FC Personalised Way Door Mat is the perfect gift for any dedicated fan. 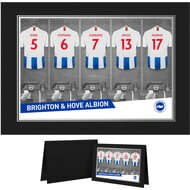 One of our best-selling Brighton & Hove Albion FC gifts of all time, this personalised dressing room photo is the ultimate must-have for any Brighton & Hove Albion FC fan. 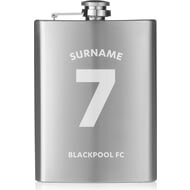 This truly stunning engraved hipflask is a fabulous present for any Blackpool FC fan and is an approved and fully licensed product. 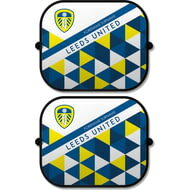 This truly stunning engraved hipflask is a fabulous present for any Bury FC fan and is an approved and fully licensed product. 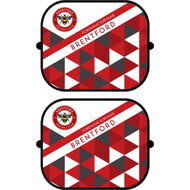 This truly stunning engraved hipflask is a fabulous present for any Accrington Stanley fan and is an approved and fully licensed product. 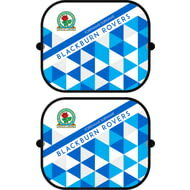 This truly stunning engraved hipflask is a fabulous present for any Blackburn Rovers FC fan and is an approved and fully licensed product. 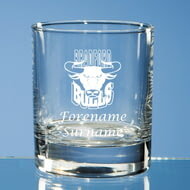 This official, fully licensed Bradford Bulls Personalised traditional style whisky tumbler can be used on a daily basis or put on display as a memento. 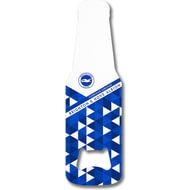 This official, fully licensed Brighton & Hove Albion FC Personalised Patterned Bottle Shaped Bottle Opener is perfect for any dedicated fan. 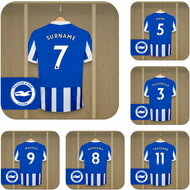 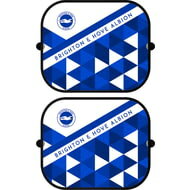 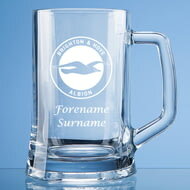 This official, fully licensed Brighton & Hove Albion FC Personalised large tankard is simple yet elegant in design. 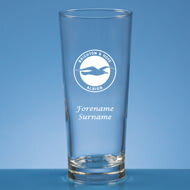 This official, fully licensed Brighton & Hove Albion FC Personalised pint beer glass has a simple conical design with a solid base. 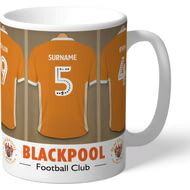 One of our best-selling Blackpool FC gifts of all time, this personalised Dressing Room Shirts mug is the ultimate must-have for any Blackpool FC fan. 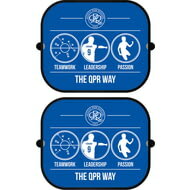 This truly stunning engraved hipflask is a fabulous present for any Fulham FC fan and is an approved and fully licensed product. This truly stunning engraved hipflask is a fabulous present for any Fleetwood Town FC fan and is an approved and fully licensed product. 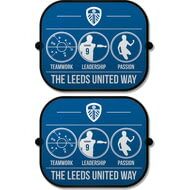 This truly stunning engraved hipflask is a fabulous present for any Huddersfield Town fan and is an approved and fully licensed product. This truly stunning engraved hipflask is a fabulous present for any Hull Kingston Rovers fan and is an approved and fully licensed product. 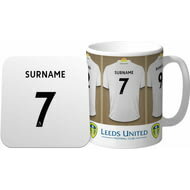 This is a fabulous present for any Leeds United fan and is approved and fully licensed by the club. 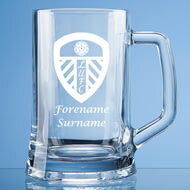 This official, fully licensed Leeds United FC Personalised large tankard is simple yet elegant in design. This official, fully licensed Leeds United FC Personalised pint beer glass has a simple conical design with a solid base. 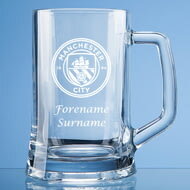 This official, fully licensed Manchester City Personalised large tankard is simple yet elegant in design. This official, fully licensed Manchester City Personalised pint beer glass has a simple conical design with a solid base. This truly stunning engraved hipflask is a fabulous present for any Scunthorpe United FC fan and is an approved and fully licensed product. This truly stunning engraved hipflask is a fabulous present for any Swindon Town fan and is an approved and fully licensed product. This truly stunning engraved hipflask is a fabulous present for any Rochdale AFC fan and is an approved and fully licensed product.